What happens when you return to the real world after being in a fantastical one like Narnia? Ev desperately wants to return to the Woodlands, and Philippa just wants to move on. When Ev goes missing, Philippa must confront the depth of her sister's despair and the painful truths they've been running from. As the weeks unfold, Philippa wonders if Ev truly did find a way home, or if the weight of their worlds pulled her under. This YA debut by Laura E Weymouth is perfect for fans of Melissa Albert's The Hazel Wood and Lev Grossman's The Magicians. Walking the line between where fantasy and reality meet, this lyrical and magical novel is, above all else, an exploration of loss and healing, and what it means to find where you belong. In this haunting historical fantasy similar to Seanan McGuire’s Wayward Children series for adults, two sisters struggle with reacclimation to the modern world after spending years in a magical realm. In 1944, as London burns during WWII bombings, Philippa, Jamie, and Evelyn Hapwell are transported to the enchanted Woodlands—only to discover that their refuge has its own troubles with war on the horizon. Six years of Woodlands time later, the trio is returned to the moment that they left London, unchanged physically but possessing a lifetime of experiences. Years later, Evelyn, 16, who hasn’t stopped longing for the Woodlands, vanishes in an attempt to return to the only place she’s ever considered home. Her older sister, Philippa, is consumed with guilt over Evelyn’s fate, even as she tries to create a life that doesn’t revolve around responsibility for her sibling. In this love letter to portal fantasies and Narnia, Weymouth infuses her characters with a rich panoply of emotions set against wartime England. A shining thread of hope and healing mitigates the book’s heartbreak and underlying trauma, suggesting a bright future for all involved. Ages 13–up. Agent: Lauren Spieller, TriadaUS. Sarah Glenn Marsh, author of the Reign of the Fallen series "The perfect story for anyone who's ever searched for magic in the everyday, THE LIGHT BETWEEN WORLDS will break your heart and then make it whole again. 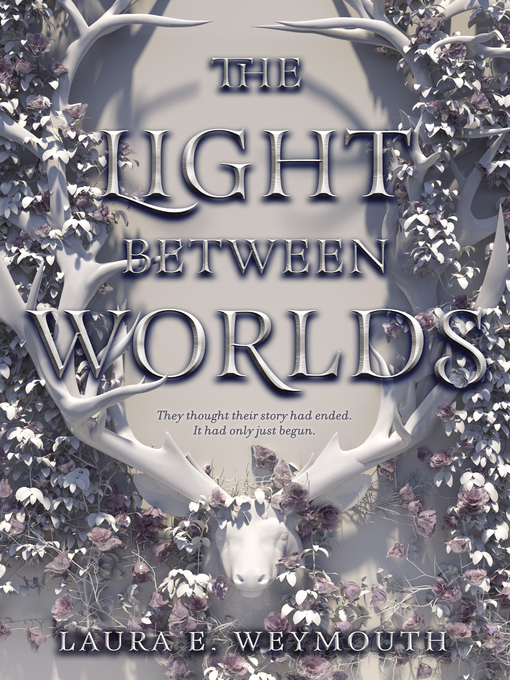 Laura Weymouth wields words like she's casting spells, and the result is utterly enchanting." Lori M Lee, author of the Gates of Thread and Stone series "Haunting and beautiful, The Light Between Worlds is a love story to siblings, to the belief in magic, to discovering where you belong." Melissa Albert, New York Times bestselling author of The Hazel Wood "An achingly lovely take on finding your own world. I loved this beautiful book!" Sara Holland, New York Times bestselling author of Everless "Even as Evelyn and Philippa navigate their exile from another world, Laura Weymouth reveals to us the real magic—born of sisterhood, nature, love and resilience—that resides in our own. THE LIGHT BETWEEN WORLDS is transfixing and unforgettable." Kirkus Reviews "A mystical novel about three siblings finding, then losing, then finding their ways home again." Publishers Weekly (starred review) "In this love letter to portal fantasies and Narnia, Weymouth infuses her characters with a rich panoply of emotions set against wartime England. A shining thread of hope and healing mitigates the book's heartbreak and underlying trauma, suggesting a bright future for all involved." Bulletin of the Center for Children’s Books "Weymouth offers a picture of severe depression beautified by her own luminous prose...she evokes a sense of empathy for Evelyn, and offers absolution and redemption for Philippa, who has to believe that her sister is in a better place." 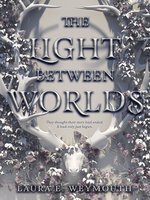 School Library Journal (starred review) "Emotional and poignant... a powerful, magical debut for all YA fantasy shelves. Hand this to anyone who ever wondered what may have happened to the Pevensie children after Narnia." The NarniaFans Book Reviews "More than just an entertaining read. I can think of no better fantasy book to share with a young adult."